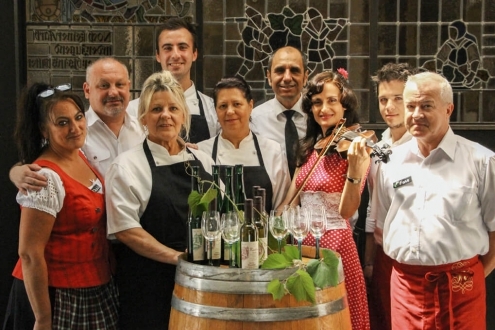 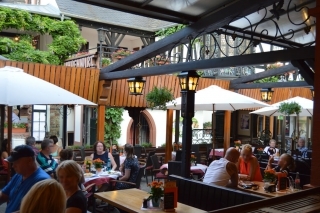 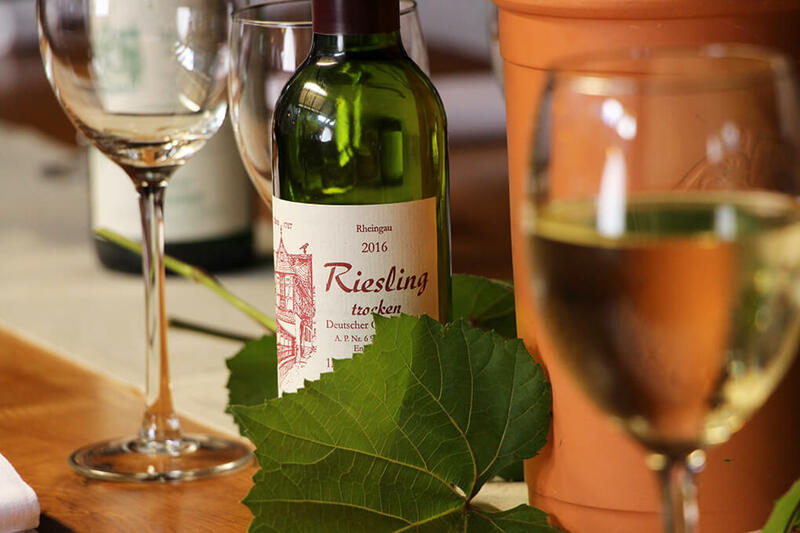 Our historic restaurant is uniquely located: in the world-famous Drosselgasse in the city of Rüdesheim on the Rhine River. 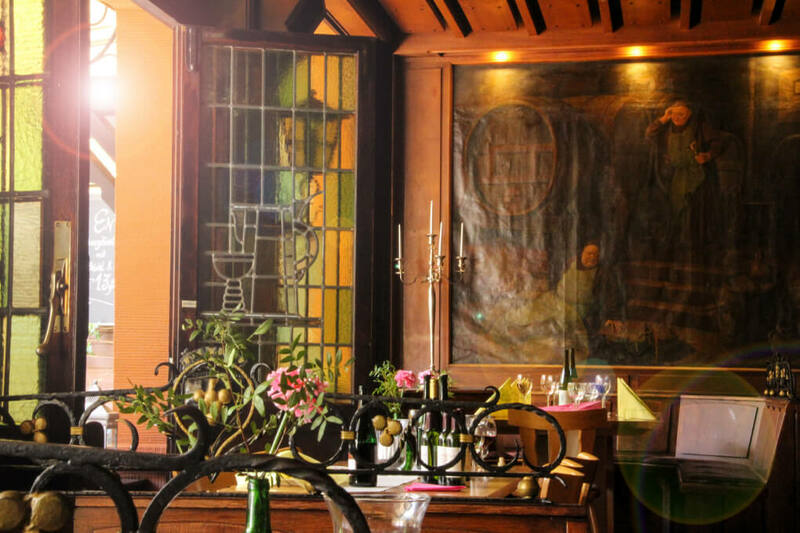 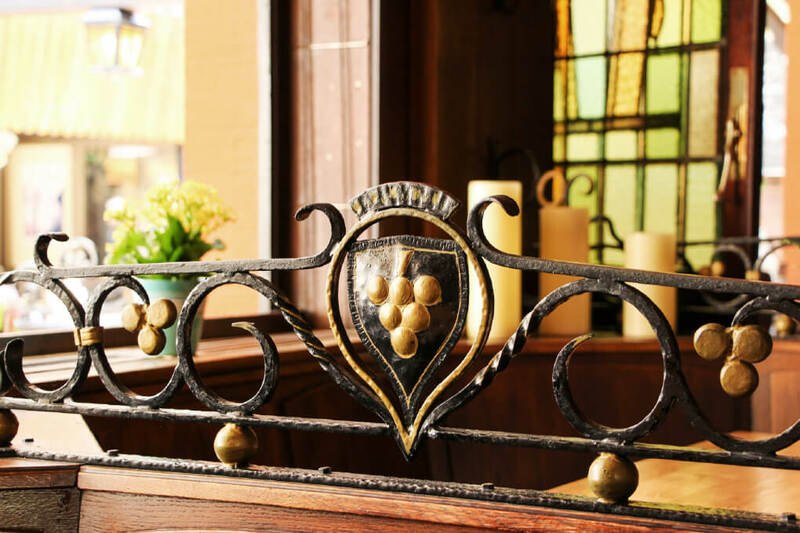 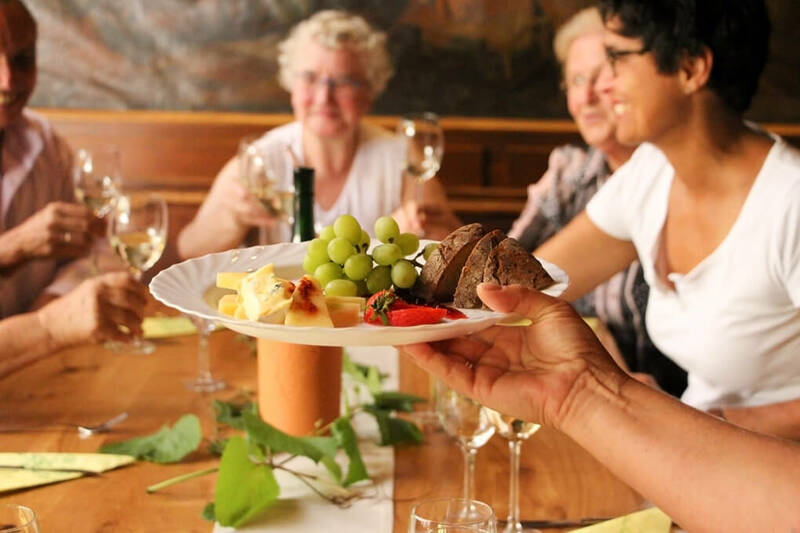 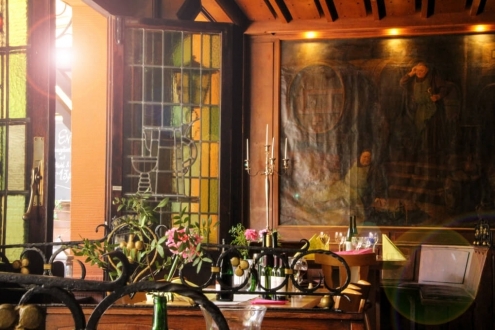 As the first and oldest guest house in the Drosselgasse, the Drosselhof has been known for centuries far and wide as a meeting place for people who want to experience the convivial spirit of the Rhineland. 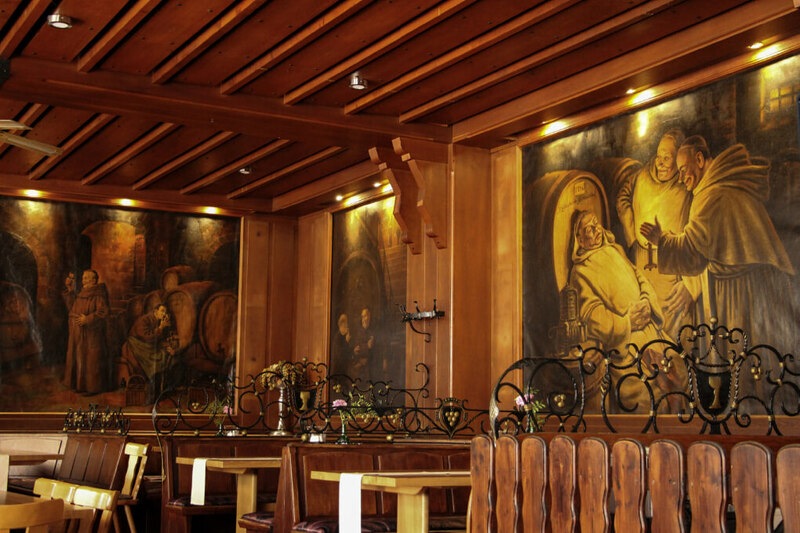 Formerly frequented by the boatmen of the Rhine River, local residents and visitors from around the world now come to enjoy our unique ambience. 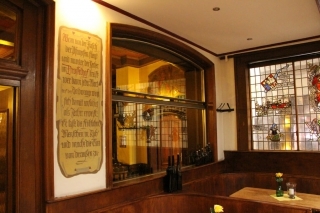 The Drosselhof seats 250 guests. 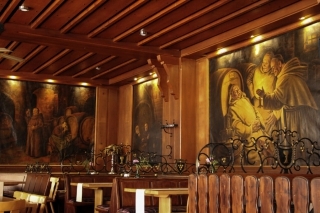 Choose from one of our dining areas decorated with historical paintings or take a seat on our spacious covered patio. 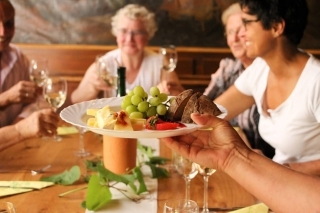 We offer regional fresh cuisine that you can savor with one or two glasses of wine. 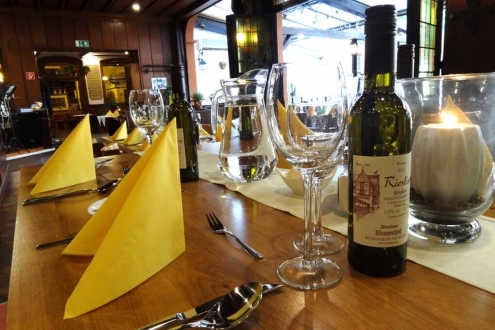 Whether you are having a big party, celebrating a family occasion or just dining out with your partner – we are looking forward to catering to your individual requirements with our delicious range of menus. 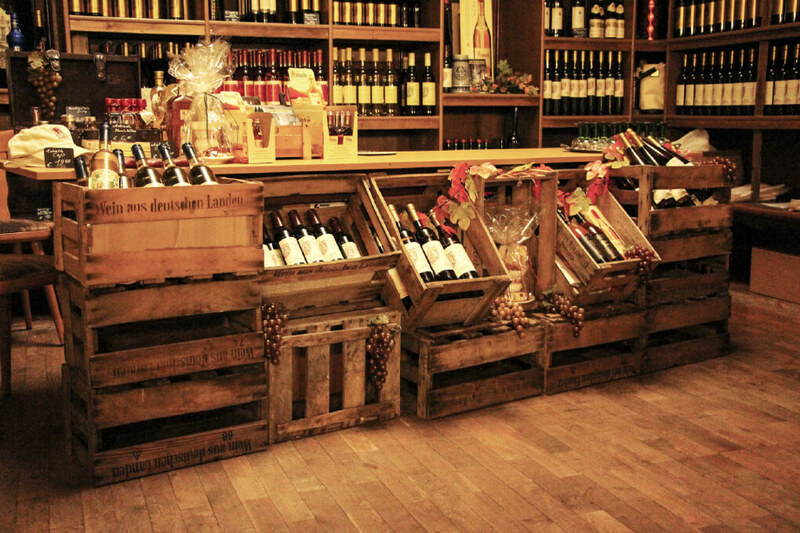 Life will be beautiful again, no doubt! Please get in touch – we are happy to cater to any request you may have! 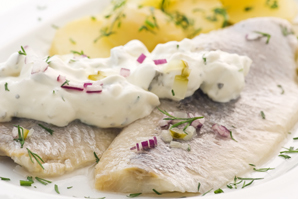 We welcome the ‘Queen of Seasons’ with our traditional light Matjes herring dish with a home-made topping of sour cream and low-fat yoghurt, refined with German apples, onions and gherkins and lovingly served with potatoes. 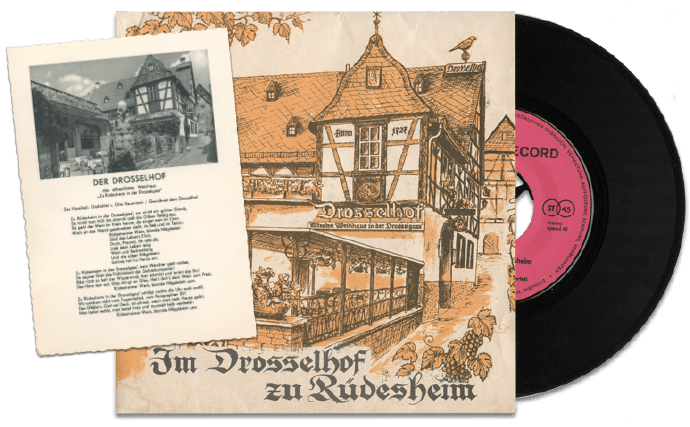 J. Pauli later put the words to music and all radio stations broadcast the song, making Rüdesheim, the Drosselgasse and the Drosselhof famous far beyond the city limits.